Could this logo become the third most popular in smartphones? After reaching nine-year lows, Research in Motion's stock finally rose on Tuesday, increasing 5 percent to $6.60. The BlackBerry maker isn't out of the woods yet - far from it - but according to RIM CEO Thorsten Heins, it's on the right path. Heins said during his BlackBerry Jam Americas keynote on Tuesday that despite recent lows, BlackBerry actually gained about 2 million subscribers (reaching somewhere around 80 million total) in the last quarter. That keynote reportedly helped the stock to begin to rise in price, a trend that could continue if RIM stays on track. The news of new subscribers may have helped RIM's stock begin to rise, but other factors at the BlackBerry Jam Americas event no doubt contributed as well. For one thing, RIM unveiled several new features for BlackBerry 10, the long-awaited new OS that the Canadian company hopes will further reverse its fortunes. 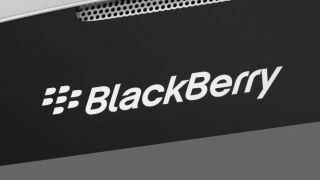 It was also revealed that BB10 carrier testing will begin in October, news that makes it seem more likely than ever that the new BlackBerry OS will actually see the light of day at some point. The most recent estimates of an actual release window for BB10 put it in early 2013, possibly even January. The news of more new BlackBerry users lays to rest some investors' reported fear that subscribers might have declined for the first time this quarter. But keep in mind that subscriber gains are reportedly occurring in emerging markets where heavy subsidies could soon cause the average selling price for BlackBerry devices to go down. RIM's Q2 fiscals are due on Thursday, and analysts expect an overall loss of 45 cents per share. But Heins said on stage that he expects BB10 to topple Windows Phone 8 and become the number three OS on the market. The rest of the world may not share his optimism, but who knows what could happen?